Hosted by the Concordia College Offutt School of Business, this biannual speaker series is presented in the Twin Cities. Offutt School Presents guest speakers are leaders of influential organizations that range from publicly traded corporations to entrepreneurial firms building the products and services of the future. The speaker is invited to share reflections in a 35-minute program, including a conversational interview with a moderator and a Q&A with attendees. Topics of conversation include one or more of the four themes of the Offutt School of Business program: ethics, leadership, entrepreneurism and globalism. The Offutt School Presents spring event will feature Andrea Walsh, President and CEO for Minnesota-based HealthPartners. 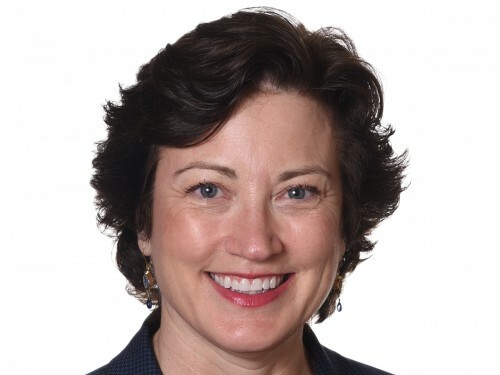 Andrea Walsh is president and chief executive officer for Minnesota-based HealthPartners, the largest, consumer-governed, nonprofit health care organization in the nation. Throughout her career, Walsh has been passionate about health and deeply committed to making a difference in people’s lives. Today, she leads a team of more than 26,000 people focused on the mission of improving health and well-being in partnership with patients, members, and the community. Prior to her appointment as president and CEO in 2017, Walsh was part of the HealthPartners senior executive team for more than 20 years. She served as executive vice president and chief marketing officer for nearly 15 years and joined HealthPartners in 1994 as senior vice president and corporate counsel. Prior to joining HealthPartners, she practiced law and was an assistant commissioner at the Minnesota Department of Health. She is a graduate of the University of Minnesota Law School and the University of Kansas. Walsh has a long history of community service. She currently serves on the Greater Twin Cities YMCA Board, the St. Paul Downtown Alliance, Greater MSP, and is also on the board of the Minnesota Business Partnership. HealthPartners is an integrated system which includes a care delivery system with more than 1,800 physicians, eight hospitals, 55 primary care clinics, 22 urgent care locations and numerous specialty practices in Minnesota and western Wisconsin, a large dental practice, 1.8 million members in top-rated medical and dental health plans, and HealthPartners Institute.